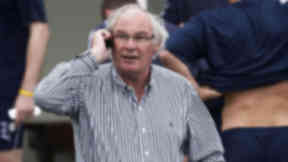 Jim Jefferies' plans for the new season continue apace with deals for young trio. 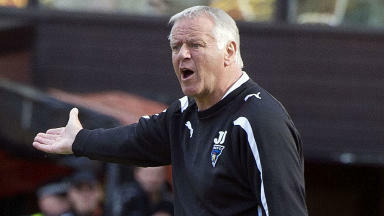 Jim Jefferies is set to add three young stars to his Dunfermline squad for the First Division campaign. The Pars boss has agreed terms with East Fife striker Ryan Wallace and Arbroath playmaker Josh Falkingham as he shapes his young squad for a promotion push. The 21-year-olds will sign up at East End Park subject to compensation being finalised with their teams. 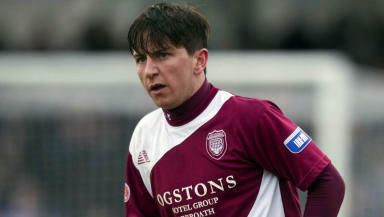 Wallace, a former Hearts youth player, netted 27 times for East Fife last term, while ex-Leeds United academy player Falkingham won the Scottish Third Division player of the year in his debut season in Paul Sheerin’s Arbroath side. Meanwhile Chris Kane is set to sign up with the Pars from Hearts. The 19-year-old, who can play defence or midfield, is free to join a new club after stalling a new contract at Tynecastle. Speaking on the Dunfermline official website, Jefferies said the fresh faces fit the club’s remit of bringing in young talented players. Announcing the deals for Wallace and Falkingham, he said: “They are young and their clubs don’t want to stand in their way because they will be getting the chance to move into full-time football.